Appreciating this striking home starts with the location. 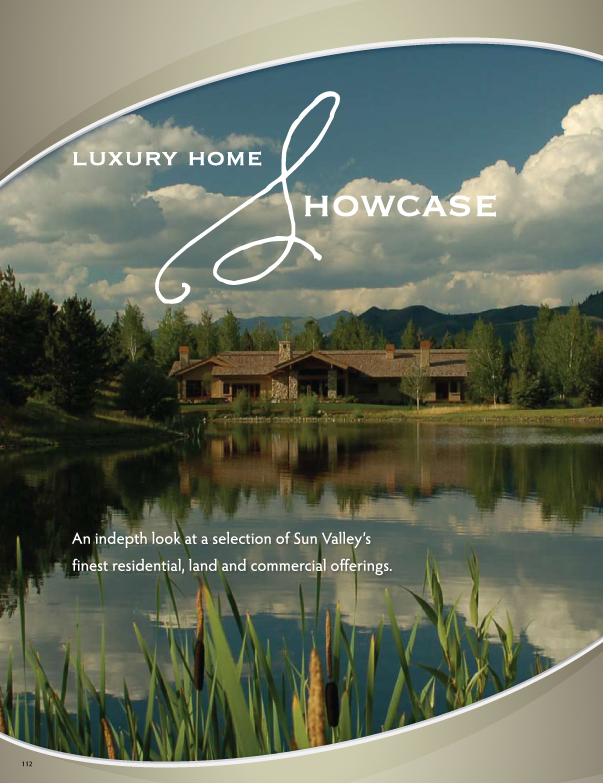 Close to the world famous Sun Valley Resort, it offers stunning mountain views and waterfront living while still retaining a sense of complete privacy. This visually dramatic home with a nod to sustainability and gracious living results from a cooperative effort between Aspen Builders and architect Jim Ruscitto. 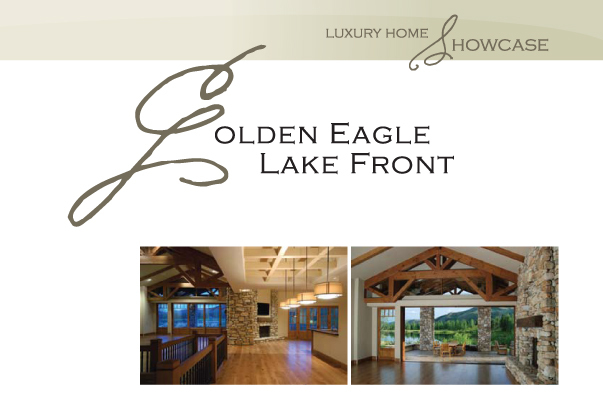 The entire 3.24-acre site is close to Golden Eagle’s pool, clubhouse and tennis courts, and offers frontage on two lakes, with views to a waterfall and the mountains. The living space is on one level, and features a dramatic entry and great room with a twenty-foot disappearing lift-and-slide window system that opens to a spacious heated outdoor living area. There’s both a large dining room and a cozy family breakfast area, and four fireplaces, three by local craftsman Don Fraser that use local Oakley stone. The kitchen is made for entertaining with custom cabinetry and finishes, Brazilian granite countertops, a professional gas range, warming drawers, wine refrigerator, bar sink, and separate refrigerator and freezer, a large island and ample storage, plus an adjacent catering kitchen with icemaker, coffee system, ovens, dishwasher, and refrigerator/freezer. Downstairs is a media room and temperature controlled wine room with custom cabinetry, a copper sink and dishwasher, stonewalls, and antique pine flooring. The exterior is completely landscaped, including dramatic outdoor lighting, and circular paver driveway, a 1,100 square-foot finished garage, and outdoor cooking with fireplace. It’s a home to experience to fully appreciate.Views dominate the master suite, which is complemented by a fireplace and a spacious master bath with a double steam shower, a separate heated spa tub, large walk-in closets, and a personal laundry room. At the opposite end of the home is a guest area with two bedrooms and baths, a junior master suite with fireplace and terrace, dual offices, and a large laundry room with dog-bathing area, additional washer and dryer, and ample storage.